I don’t often read historical fiction. In my mind I would rather know the truth about an event that happened, or be lost in a world that never existed. That being said, I loved Amy Bloom’s White Houses. It follows the romance between first lady Eleanor Roosevelt, and reporter Lorena Hickok (whose friends call her “Hick”). This is beautiful in and of itself. I can trust that many of the facts outside the romance in this novel are true which makes the novel so much more intriguing. These two characters a real women who are already some of the more interesting people in American history and adding in this new piece of a part fictional part true romance makes this book a page turner. I was constantly looking up events and facts that are stated in the book and I wasn’t disappointed to find that the author stayed true to the history books for much of it. The specific dialogue that the two had while they lye in bed together we know isn’t real, but because it was an open secret in the white house that these two were lovers, we can pretend for a moment that this might have been what the love affair looked like. The romance itself could not have been derived without the use of fiction and Bloom was able to craft such beautiful prose, complex characters, deep and emotionally profound relationships between characters while also staying true to history and the characters themselves as the public knows them. 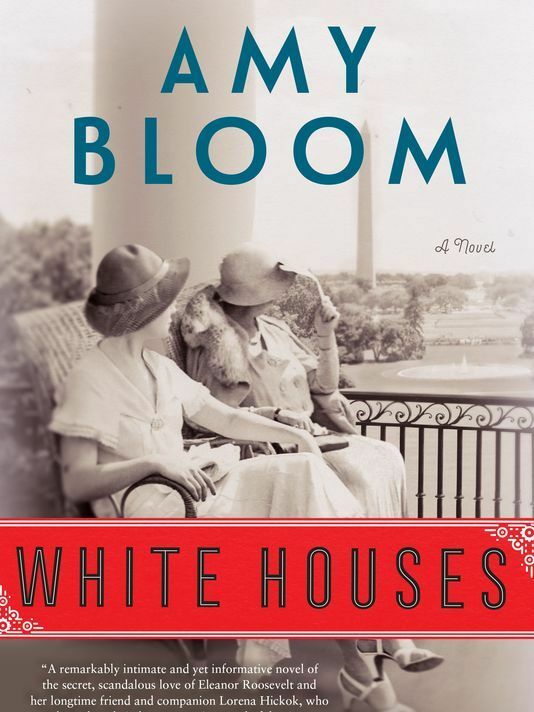 If the Eleanor Roosevelt that I had in my head before this novel had a lesbian lover she would have acted and been portrayed in the way that Bloom has portrayed her. Eleanor is strict with herself and those around her and always expects the best out of people in the most kind hearted way possible. Hickok on the other hand is refreshingly honest. In one scene she paints the life that she wishes that she could have with Eleanor. She wishes they would be able to live in cottage together with dogs, and could sit out on the porch in their rocking chairs, but unfortunately she says that, “it is not true that if you can imagine it, you can have it.” She knew that no matter how much they wanted to be together that she would only get brief minutes of Eleanor’s time in a given day, or sometimes they would go months or years without seeing each other. While Hick was the closest that Eleanor ever came to having a soul mate, Eleanor’s heart truly belonged to her people–and I think Hick deep in her heart knew this. Along with her no no-nonsense, frank and insightful commentary, Hick wins over hearts because we are able to watch her grow and her journey from rags to the white house. Her first job as a hired girl, to working at the circus to reporting on the white house. She remains herself, she remains Hick. Throughout the entirety of the book, as she struggles through relationships with those around her, I find myself firmly on Hick’s side of every problem, even when it is against Eleanor Roosevelt herself. Bloom has won over her readers with Hick’s character development, and this is what has made this book go from average to something that I am sure I will remember for a long time. Plot lines and events make up a story but characters give it life. Though the characters were magnificent in this novel, the timeline was difficult to follow. There are dates at the start of each chapter to indicate where we are in history and Hick’s life, but these are effective enough. I didn’t want to have to step away from the story to get my bearings on where we were in time, but I had to because there weren’t many markers at the beginnings of chapters. It makes the story confusing, and I am not able to analyze and understand characters actions because I don’t always know what has already happened to them or if they have gone through a specific event. I felt like the dates were just thrown in at the end because the editor realized that the timeline of the story was confusing and hoped that dates would help orientate a reader better instead of doing a large overhaul of the story. However, reading the datelines and take the reader out of the story which is something most authors strive to avoid. I wouldn’t give this book five stars just because of how confusing it was to follow, but I would recommend it to a friend just because of the brilliance of Hick’s character.